LingaTel provides hospitals and medical service facilities with reliable diagnoses interpretations and immediate response times. 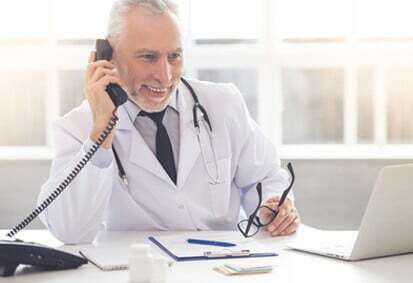 Our specialised telephone interpreters assist physicians in interpreting the medical history of foreign-language patients and help during vital clarification talks, for example, concerning surgery or a vaccination. Particularly in situations that require fast medical treatment, our trained telephone interpreters assist in the clarification of information concerning the patient or their relatives. We also offer oral translation of medical documents.